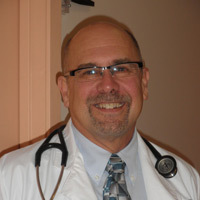 Steve Lauer, FNP-C obtained his Bachelor of Science in Nursing from Creighton University in Omaha, Nebraska and in 2000 completed his Masters degree from the University of Nebraska Medical Center’s Family Nurse Practitioner Program. He moved to Santa Fe in 2003 and has worked as a Nurse Practitioner at Santa Fe County Corrections, at Family Practice Associates in Abuquerque, and at Christus /St. Vincent’s St. Michael’s Family Practice in Santa Fe. He joined Allergy Partners in March 2010.